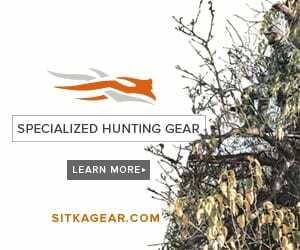 Whether you build a tower stand yourself out of wood or invest in a superbly engineered, ready-to-go tower of metal, elevated blinds give hunters an obvious edge at seeing more distant game over hunters who are ground-bound. A tower stand offers a better view of the hunting area, it disperses human scent up and out of range of a deer’s nose, and an elevated position often allows a hunter to move undetected to set up for a shot. The advantages are obvious, and so are the best tower stand options for hunters. Advantage Blinds makes state-of-the-art, lightweight, rigid-side blinds for all types of value-conscious hunters. Advantage Hunting offers several quality models for hunting up in the air in both two-man and four-man blinds. Advantage Hunting’s 2-Man 10-foot Galvanized Blind Platform is made in both the Deluxe and Whitetail models. This blind features galvanized steel legs and braces for years of use while being completely maintenance free. Weighing only 150 pounds for easy moving, this blind converts for full door or trap-door use. It is rated to support 500 pounds. A complete hardware/ladder/tie-down kit is included. The Advantage Hunting 2-Man Quadpod Kit includes a 5-foot x 5-foot welded steel frame that mounts to the bottom of the Advantage’s two-person blinds with bolts, washers and nuts, all of which are included. It is compatible with trap or full door blinds and has welded steel leg inserts for 4×4 lumber (not included). The 2-Man Quadpod Kit is rated to support 500 pounds and comes with tie-downs. Both the Deluxe and Whitetail models are available in four-man versions, and these roomy blinds feature a 1,000-pound capacity. Advantage also offers Quadpod Kits for those bigger blinds, with all the hardware needed to get the blind mounted and in the air. The hunter just needs to supply the 4×4 lumber. A hawk’s-eye view of your hunting ground almost always means a better chance for seeing and harvesting animals. Advantage Hunting’s Galvanized Blind Platform and Quadpod Kits deliver that extra elevation for increased success. To learn more about Advantage Hunting Blinds, please visit www.advantagehunting.com.